María Asunción Aramburuzabala is tapping her beer money to digitize Mexico. Using cash from the sale of stock in Grupo Modelo , the brewer of Corona beer cofounded by her grandfather 66 years ago, she bought a 5% stake in Televisa for a reported $600 million from Alejandro Burillo Azcárraga, the disgruntled cousin of Chief Executive Emilio Azcárraga Jean. The move served to get the broadcasting entity past the bickering and on to cutting costs and going after the Hispanic market in the U.S. Thus María entered the clubby, male-dominated world of Mexican corporate politics. Now, armed with seats on the boards of Televisa and three other large Mexican firms, she hopes to use her influence and a family venture capital pool of perhaps $40 million (she won’t say) to upgrade Mexico’s industrial base. The venture fund is backing a company that is building data and Web hosting centers in Mexico. In the U.S. Web hosting companies like Exodus are struggling, but María is confident. “We just laid the first stone in our first building and we already have three clients interested in leasing 100%,” she notes. 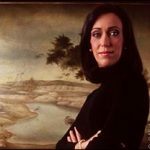 María’s father, Pablo Aramburuzabala Ocaranza, the son of penniless Basque immigrants to Mexico, made a fortune on Corona beer and died in 1995 at 63, leaving no male heirs–just María, her sister and their mother. María recalls how “friends” of her father were at her door less than a month after he was buried, seeking to wrest control of his Modelo stake from what they assumed were helpless women. “But [our] shares represented control of many companies and 43,000 jobs, and we had a responsibility to them,” she says. So the three women decided to manage their stake themselves. By then a mother of two with a crumbling marriage, María had an accounting degree and a year’s experience as an accountant at a Mexican securities firm. Under the tutelage of her father’s business partner, Don Juan Sánchez Navarro Don Juan Sanchez Navarro , María became vice chairman of Modelo in 1996. Facing down early skeptics, she merged two failing yeast companies, streamlined distribution, cleaned up the accounting and put them in the black after a year. “I call it my M.B.A.,” she says. In 1998 Anheuser-Busch exercised a $1.6 billion option to purchase shares in Modelo, which gave it a 50% noncontrolling stake. María’s family probably pulled at least $500 million in cash out of that transaction. She won’t detail other holdings either, but she is reported to control a 1% stake in banking giant Banamex, in addition to the 10% of Grupo Modelo she is still believed to own. The funds she invested in Televisa last year are worth another $1 billion. PREVIOUS POST Previous post: Did Trump hack North Korea’s missile launch?